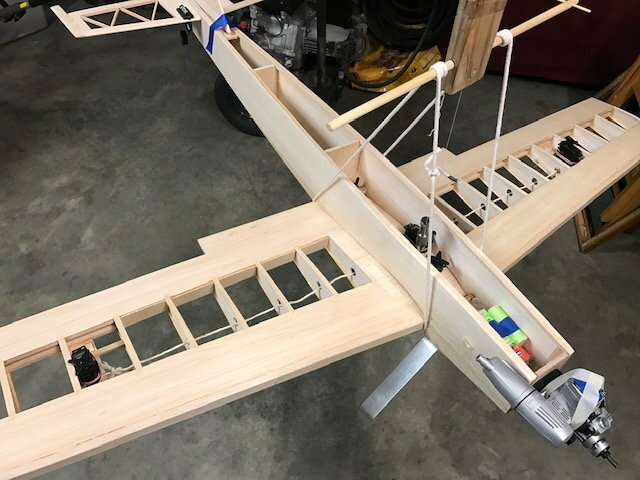 The first thing you need to do is check the math and ensure that the specified measurement is where you want the plane to balance. I have had a couple Super Sportster 40 sized planes and I don't remember needing any ballast. Moving the battery was enough to get the plane to balance. I do everything possible to build light, and when you consider most of the plane is behind the CG heavy planes tend to get tail heavy quickly. Lighten the tail as much as possible. If this is not enough, I would do some surgery on the nose and move the engine forward. Anything to avoid adding unnecessary weight to a plane. I feel like a failure if I need more than an ounce of ballast in a plane I build. exactly,....good post above !...... "building to balance". that's the part of this hobby that has all but disappeared in these recent years. everybody has jumped on the "balance it with weight" band wagon because it's easy to do...... actually an over flow from the ARF frenzy. it is simply counter productive to add weight to a plane that is already heavy on one end or the other. I like to keep track of the balance as I build. Just tape things in place. Once the plane is built it becomes a bit harder. Moving servos, battery, engine. Etc. Cutting holes in tail area may help as suggested. I’ve had to move servos, battery and engine, on a completed airplane, to reach a balance point and still had to add a little weight behind the engine. ETpilot, that is pretty much how I do it. Since most of my junk is scratch builds of my own design I kind of have to figure it out as I go. I tend to build grossly overpowered planes, so they end up nose heavy. As I build I place the movable parts on the air frame to see where they need to be. On most of my stuff the entire radio ends up as far in the tail as it will go. If you do this a few times as you go, moving the battery around will usually get you at your cg without any ballast.